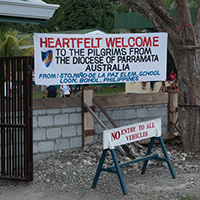 Parramatta pilgrims carry out mission projects across Bohol, Philippines. Photo from Diocese of Parramatta. Over the past few days, Australian pilgrims, group leaders, bishops and chaplains have commenced their pilgrimage to World Youth Day. There are more than 30 different Cosmos pilgrimages currently taking place with some groups visiting holy places while others complete a mission project in a place of need. The ACBC Office for Youth provides a snapshot below of just some of the wonderful pilgrimage experiences taking place. One of the Diocese of Parramatta’s pilgrimages to World Youth Day 2016 has begun on the island of Bohol, Philippines. 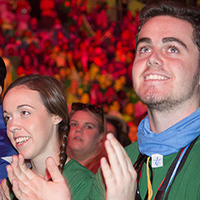 This entry was posted in World Youth Day and tagged Aussie Pilgrims, World Youth Day, WYD Krakow, WYD2016 on July 21, 2016 by ACBC Communications.